Since starting Once Wed, I don’t spend as much time in the kitchen as I would like to, but I still go a bit crazy every time a Williams-Sonoma catalog arrives in the mail. Their incredible selection of cookware, kitchen electrics, and bakeware never ceases to me. I seem to always have a hard time resisting the urge to purchase one of their newest kitchen gadgets, like the apple pie mold below. We rarely do giveaways here on Once Wed, but today I have a fabulous treat in store for you. Williams-Sonoma has generously agreed to give one lucky Once Wed reader a $250 gift certificate. Wohoo! First visit Williams-Sonoma to create a registry. Don’t worry if you’ve already registered with W-S, you can just add 5 more items to your current registry to qualify. Leave a comment below letting us know you’ve registered along with your favorite William-Sonoma registered items. Bonus: You will receive an extra entry if you include your public registry link in the comment section below. The contest ends May 26th, so be sure to enter the giveaway before then. Have fun! KitchenAid Artisan Stand Mixer – I used one for baking at a previous job and always wished I had one of my own. All-Clad Classic Round Waffle Maker – Who doesn’t love homemade waffles on a Saturday morning? Glass Domed Cake Plate/Punch Bowl – This is so cool, my mom has one of these and I love it! Done! Very exciting stuff, guys! What a great promotion. Williams-Sonoma is my favorite registry for our wedding. I love all the dinnerware items that I registered for! This is so fun! I’ve been wanting a red kitchen aid. Williams- Sonoma is great! This is so fun! I love Williams-Sonoma! so generous! only just starting my registry! It IS hard to choose a favorite! I like all the colorful options, ha. The colorful mixing bowls are so pretty. It would make me exciting to cook! I also love the blue Le Creuset square grill pan. And I think the Emile Henry Auberge Pie Dish, 9″ in red is so cute. My kitchen walls are red with purple trim(sounds crazy, but it works so well with the old black and yellow tiles!) so all of the red options are fantastic. So exciting! I love checking out Once Wed and I love Williams-Sonoma! love love love wustohf ikon blackwood knives. I added some bedding to the registry. This would be awesome! I love any of the all-clad copper core cookwarec. so nice! Cheers to Williams-Sonoma and Once Wed for a great giveaway! Jon and I married three weeks ago, but we didn’t receive the two things we most wanted on our registry (the Shun Kaji knife set and the set of Allclad pots and pans). We aren’t able to afford both of those on our own, but a gift card from Williams-Sonoma would definitely help us snag them! My favorite item is the Le Creuset 6-Piece Cookware Set, in Lemongrass. I just adore this shade of green. What a great promotion and giveaway!! 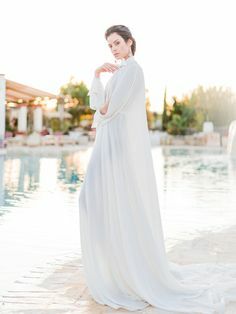 I am constantly coming to your site for inspiration on our upcoming wedding! This is so cool! I’ve been lusting after their Mini Tiered Cakelet Pan for months now–wouldn’t this be perfect for a wedding shower?! I accept all gifts from anyone! :) Ya! Sometimes you just gotta shop! So if you feel like getting wedding presents for people, I will be a happy recipient! I didn’t register anywhere so this will be fun! Love the cuisinart food processor and the nespresso machine! Love this store!!!! It is the first place I registered. I love the Emile Henry Auberge bakeware! My favorite thing is the marble rolling pin. I’ve always hated my mom’s wooden rolling pin and didn’t even know there was such a thing as a marble one! But everytime I pass a Williams Sonoma, I go in to visit my most loved items! How generous! Go Wiliams Sonoma! 1. Stainless Steel Laguiole Flatware… this is why I started a WS registry! 2. Cuisinart Electric Rotisserie… I love rotisserie chicken. I mean LOVE it. 3. Cuisinart 11-cup Food Processor… finally, hummus will not be so arduous… a blender isn’t cutting it! 4. Imperia Pasta Machine… so I don’t even know where I’m going to put this, but I figure that we are getting things for a lifetime together, not necessarily for immediate use. Next place will have a kitchen big enough for pasta production. 5. KitchenAid Stand Mixer in Buttercup Yellow… whatever one uses a stand mixer for, I have yet to determine, but it’s YELLOW. 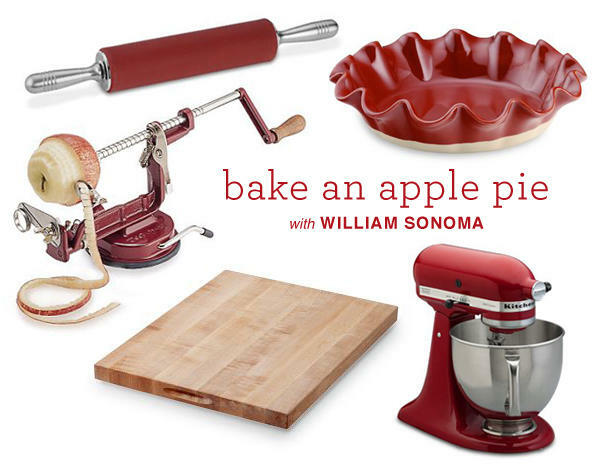 I LOVE Williams Sonoma – what a great giveaway! I registered for 2 baking sheets, a kitchen aid stand mixer (of course), a le creuset dutch oven, a le creuset grill pan, and a knife set. First place we registered- I’ve always had a love affair with WS! I LOVE WS kitchen materials. Just made my registry. I love Le Crueset cookware…I would love a couple big dutch ovens in the dune color. I was also really excited to register for a yellow Kitchenaid mixer! ooo…..a professional kitchenaid to keep up with my cake making! FUN! I adore all of their bakeware, especially their exciting cake pans, and their enamel ware pans are great! I’m so excited about my WS registry! I got a beautiful red pie dish! and a red kitchenaid mixer. and red bowls. and a yellow teapot. I love everything about Williams Sonoma! They were the the first and only place I registered! Beaba Babycook Baby Food Maker – I have heard nothing but fantastic reviews on these and would love to get one, in preparation for starting a family! Global 3-Piece Knife Set – I already own two Global knives, a gift from my aunt who is a chef. These knives are great! Williams-Sonoma Commercial-Quality Half-Sheet Pan, Set of 2 – These cookies sheets work great, and they hold so many cookies! Cuisinart 11-Cup Food Processor, White – I have yet to own a full-size food processor so this registry item is wishful thinking! KitchenAid Artisan Stand Mixer, Onyx Black – I do not yet own a KitchenAid stand mixer either – hoping to get one as a gift!!! Thank you – what a FABULOUS giveaway! Love love love William Sonoma! I love Once Wed and Williams-Sonoma! I can’t wait for a kitchen-aid stand mixer and I am beyond excited for Le Crueset cookware! I wish the wedding would come sooner! seriously… how amazing! WS is the best. I just created one, however I don’t believe it has had time to go through the WS system because I tried to find it to add something to it and got a message saying it was not found. So, I’m gonna give it 24 hours, but I will be posting the link! WS has too many good things, but I think my favorites are my dinnerware, the molcajete (I’ve been wanting one of those) and all the Emile Henry bakers I registered for. I’ve registered and my fave items are always the Le Creuset and All Clad pans. I love William and Sonoma! We already have a registry but I had no problem adding a few more things! Pastry Mat: I love this for making hand rolled cookies! Convection Bread maker: LOVE this, my grandmas recipe without the extra work! Food Processor: Every home needs this! KitchenAid Stand Mixer: I have waited a REALLY long time to get one of these, whoever does gift it to me will go down in history as the best gift giver of my wedding! I love this store so much….. what an awesome give-away! oops, forgot to mention my favorites: the duralex picardie glasses, and emile henry bakeware! I am super excited about this!!! Added a bunch of things, including that pie pan! My favorite item is the Le Creuset 6-Piece Cookware Set in Red. I also love the cheese board and knife set. I do not recall when/how it was that I stumbled onto this blog- but I have been a loyal audience since. My fiance and I check this blog religiously for inspirations on how to plan for our wedding. 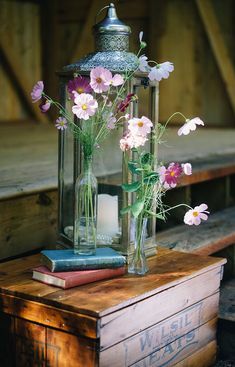 Thank you for the beautiful posts. I just created our wedding registry! I am completely and hopelessly in love with the Le Creuset 12-Piece Cookware Set in “Flame”. I can’t imagine a recipe I couldn’t master with this cookware. I’d even take on Thanksgiving dinner!! Thanks for offering such an exciting giveaway!! 5) Salad spinner – I can’t believe I don’t have one of these yet. Thanks for a chance to win this nice set. One of my favorites is the milk frother (which would probably save me loads on my cafe au lait habit!) 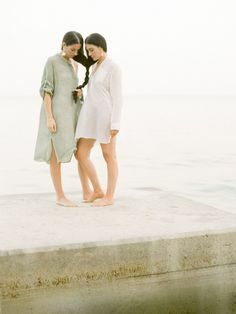 but there are also so many nice basics for a couple like us who are just starting out. All the basic white dish sets are lovely, so it’s hard to choose just one. Antonini Olive Wood Cheese Knife-Board Set- perfect for entertaining! Mauviel Copper 12-Piece Set- amazing cookware, and the copper is so elegant looking! Bodum 8-Cup Double-Walled French Press- yummmm. This is such a great giveaway! I really hope I win! This would be a true gift! This blog is amazing! I love looking at Once Wed- you all are so creative with your decorating ideas! My registry is full of a ton of things that I love, and wish for! One of my favorites has to be the Le Creuset mini Cocottes in red. I think it would be so adorable to serve my guests their own personal size casseroles etc! Another favorite is the Vitamix Blender- I have heard such good things about ti, and can think of so many ways I will use it in my new home! i loooove williams-sonoma!! :) they are one of my go-to places when i have an hour to spare just to kill time because i am always mesmerized by the colors and their seasonal offerings! One thing that I really want are the whoopie-pie pans! they bring back soo many memories of childhood! I’ve been lusty for some le cruset for a loooong time. Also – the double burner grill. Great for those of us without back yards in San Francisco! I so want the simplehuman trash can! I go into the Williams & Sonoma store every time I step foot into the Cherry Creek Mall in Denver! I’m so excited about this Giveaway!!! I love the artistry and practicality of the Emile Henry Auberge dishes–ALL of them! How funny, I just started my registry at Williams-Sonoma last night! My favorite item has to be the Kitchen Aid stand mixer. 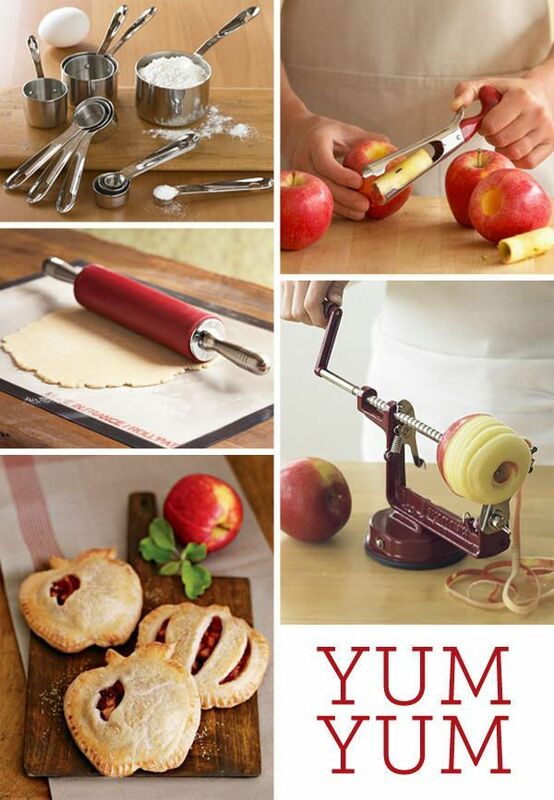 I’ve been dreaming of getting one ever since I started baking years ago. We are still building our registry and I just added some random things like a fish spatula! Everything Williams Sonoma has is the perfect place to find items to begin our new lives together! just to start! there are so many things we want/need for our wedding, and this just kicked off our registry! If we could we would deck our entire kitchen out with WS items. We’ve always loved your store! What a fun giveaway!!! I love cooking!!! Hooray! I love Williams Sonoma. Just a poor college student wishing. Here is my registry link. My first registry. I feel like a real bride! I love the Le Creuset stuff! Already had some stuff, and added a few things…. Hi! I sent in my link before but i dont see it posted- here it is again! soo excited for this. it kicks off our registry. If we could we would have our whole kitchen decked in WS items. Have always LOVED the stores and products. and in no certain order here are 5 items we added last night! its true – it didnt really feel real until we registered online! We’re getting married!- AND going to have a fabulously stocked kitchen thanks to WS! I love the Bernardaud Etoiles formal dinnerware. Just gorgeous! And the de Buyer Mandoline and Dicer Mandoline. Geez, that would make my life easier! Forgot to tell you my fav–Emile Henry large rectangular baking pan! Love it! This is so exciting! Once Wed was the first wedding website I looked at and it has me hooked! So many wonderful pictures, ideas, and DIY projects to inspire us all. What a great idea. I love Williams Sonoma. I’m most excited about new frying pans, but I also love the cherry red pie pan too. So cool! 3.Mother of Pearl Tray: so pretty and classic! I would use this giftcard to help purchase a KitchenAid mixer. I love it in yellow! Thanks to William-Sonoma for sponsoring this give-away! I’ve always loved William-Sonoma, but hadn’t registered there because I knew our families would think it was too snooty and expensive. This motivated me to register for what we wanted– and who knows, maybe our families might actually decide to get us something from the list! -The Mesh Chef’s Pan and Roasting Pan to be used on the Grill. How had I never heard of these before?? Such a brilliant idea! -The Teakettle from Le Creuset, in Dune. I absolutely love tea (and Jesse loves hot cocoa), so a tea kettle like this would be such a great addition to our kitchen. -The KitchenAid Artisan Stand Mixer. I’m pretty sure everyone registers for one of these, but it’s been one of my dream appliances since I was, oh, around 13.
registered! I’ve always wanted a KitchenAid mixer. my favourite thing i registered for is the Kitchen Aid mixer! It’s something I’ve been saving for for ages! I think the DuraClear products are fantastic! 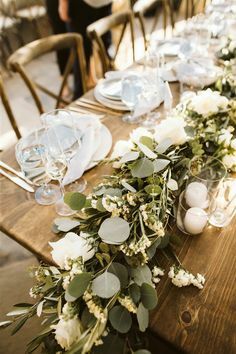 Lovely options for glasses, no worries about entertaining outside because the glasses seriously DO NOT break, and less waste than paper or plastic cups! We love William Sonoma and Once Wed. Thank you for this opportunity! I was recommend to oncewed.com by a cousin of mine. I am yet to be getting married but love to log in and get dream ideas for the future. I am an avid photographer and love the styles of photographs and gain inspiration from all the fabulous pictures. 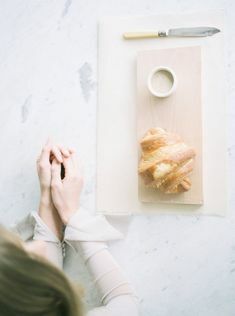 I am also a budding cook, who aims to be a great wife to my partner one day, and I love to spoil him with my baked goods. We are moving in together next year and have nothing as yet for our home. I have always dreamed of owning great cookware of my own to live the dream and hopefully, bake my own wedding cake one day. I love the coffee maker I registered for, it has amazing reviews. Wow, what a great giveaway! I think my favorites are the lovely Emile Henry Artisan bakeware – the ruffled loaf pan and pie dish especially! They’re so beautiful that I think I’d have to leave them out for decoration instead of squirreling them away in cabinets with the rest of the bakeware. I love all things william sonoma, from the non stick Rosle tongs to the Kiwi Le Cruset, I am excited about what I can cook with these products!! I am dreaming of the sweet aroma of baked goods just choosing the items I hope to bake with someday! However my favorite item is the Breville Panini Press . I make far too many trips to Panera Bread in search of a good panini…it would be so nice to make them on my own with this handy tool! I really like the LaMer fish bowls. But, my favorite item is the olive wood salt keeper. A must have!!! I just graduated and can’t wait to move into my own house so I can have my own kitchen! OOOoooOo! Pick us! Pick us! How fun! We can finally cook with beautiful, well-made cookware. I am especially excited about the Le Crueset set – it is so beautiful and adds color to a nice, clean kitchen! I love everything we picked, but I am particularly excited about the table linens– yellow Provence tablecloth and blue Provence napkins (and, of course, the French cook book, to keep the theme going). Oooh, just made a registry! My favorite thing is the Breville Electric Wok….and of course the Giant Cupcake pan! Just added way more than 5 items to my registry… every time I look, I see more! Choosing my 5 favorite items is difficult! 1)the four-in-one avocado tool for making guacamole! and we just added atleast 5 items today. We love our WS registry. I already have a registry on Williams-Sonoma, but I’ve added more items because I would love to win this promotion! My favorite things on my registry are the Goldtouch bakeare, Wustholf knives, Le Creuset cookware, all the little gadgets, & of course the KitchenAid stand mixer with all the attatchments! I’m excited about getting any of these whether they are wedding presents or if I buy them with this gift card! Such an exciting give away! my favoriesa are the grill and griddle pans and the kitchen aid blender! I’m really excited about the Kitchen Aid ice cream attachment and smaller simple every day kitchen gadgets, like the biscuit cutters and basting brush. I love the stand mixer! I am alrady registered at Williams Sonoma and I love it there! I am really excited about my Le Creuset dutch oven. I’ve wanted one for years! Also, the monogrammed cutting board, food processor and cashmere throw. Favorite registered items is Wüsthof Classic Ikon 8″ Chef’s Knife with Ikon Manual Sharpener – simply one of the best tools to keep in the kitchen for any home chef! I am really hoping to get the three Shun knives I registered for. They are beautiful and something my fiance and I will get the most use out of. I would love to get the molcajete I registered for. Living in California means LOTS of avocados so that little puppy would seriously come in handy. I love W+S. Thanks Once Wed!! 1. Ad Hoc At Home – amazing book! 3.Shun Steak knives- love the box they come in! My absolute FAVORITE W-S product is our Breville single-serve coffee maker…couldn’t live without it (a Christmas present). Great giveaway! I just went into WS to register last week, but of course I found some extra things to add! Love love love this!! So easy to find something to want at Williams-Sonoma. I added 5 of the Bernardaud Naxos Dinner plates. WS is our only registry. I just added several new things including sponges, towels, a cake stand, and cake pans. My favorite is the food processor. I can’t wait to get it! I lurve the trash/recycling set! I love to make pies completely from scratch so the mixer would be great! My fiance makes awesome breakfast omelets so we’ve registered for a pan for that too! I’m excited! Jamie and I were just talking about wanting to register at Williams and Sonoma, so this is just another excuse to go ahead and do it! We didn’t find one thing that we really want on their website though, we really want a Le Creuset Butter Dish. oh well! Oh, and thanks for showing us lots of classy, not tacky, wedding ideas and beautiful photographs of each of your featured events. I love Le Crueset dutch ovens, but my favorite would have to be their bakeware. I also really like Williams-Sonoma cookbooks. I can’t wait to see what my guests get me! My registry item I’m coveting the most is the Kitchen Aid Stand Mixer (along with the fun attachments)! I also love the Emile Henry ceramic pieces. My favorite items are the KitchenAid Mixer and the Picardie glass tumblers. You guys are great to do this! Once Wed has been a great help during my wedding planning. My favorite Williams-Sonoma item would have to be the Kitchen Aid Mixer with the white scalloped cake plate I just added a close second. williams-sonoma is the ultimate kitchen place!! I’d love to win! This is great. Of couse I love the Le Creuset Round Dutch Oven, in the Lemongrass color sooooo key! Oh yeah and my registry is…. And my one dress is life is to only cook with the Le Creaset set! I would be so excited to get our dinnerware set! It’s our first choice item on our registry. We had already registered, but I can always add more to my favorite registry! 2. All-Clad Copper Core Saucepan, 2-Qt. 3. All-Clad Copper Core Saucepan, 4-Qt. I have been dying for these items. I will probably only register with Williams Sonoma so I am sure to receive them. The 6 3/4 quart Le Creuset Dutch Oven, Oval, Azure Blue. I am registering for the bigger one as well just to put it out there. I need this badly. The OXO mandoline. This will let me eat more vegetables. The KitchenAid mixer Ice Cream attachment. Yes. Schott Zwiesel Cru Classic Champagne Flutes, Set of 6. I need these too. The Molcajete. I am going to guac it up. The sheer fact of owning W-S kitchen tools is reason enough to bake all day long. Having a french cookbook, a kitchen torch and ceramic tart pans would make the desire to create créme brulée simply irresistable. Just added my five items!!! I just love Williams Sonoma!!! Good luck to everyone else and hope everyone has their dream wedding!! I absolutely love this store and it was the first place I registered! My favorite registry pick is either the Honeybee cakestand which I used at our wedding…I pretty much love anything in the Honeybee collection or the Marseille linen collection (the tablecloth is great!) – both are so colorful and adorable! I love Williams-Sonoma but it has always been a browsing store. Hopefully now we can have the kitchen supplies we’ve dreamed of. Ooh! Love this. I added a five or six things to my registry. I’m really love almost anything by williams-sonoma, but I really like the le cruset set in green, and all the kitchen aid attachments! I love the pocket pie makers, i’ve been dying to use one! Helps to include the link:). Still love it! Thank you, love you, bye. When/How do we find out who won? Those apple pies are the cutest. Great tools. So Excited. My favorite item is the kitchen aid mixer of course! 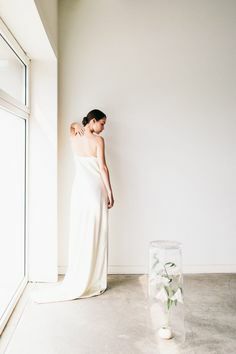 BHLDN pulls back the proverbial curtain where beauty and romance come in no short supply, showing off their newest bridal collection. For the ultimate lover of all things Walt Disney, today we’re excited to share with you the coolest thing you can do when you get married at Magic Kingdom at Walt Disney World: After Hours.